We’re thrilled and excited to have our video featured on The Daily DoGooder site on World Stroke Day! 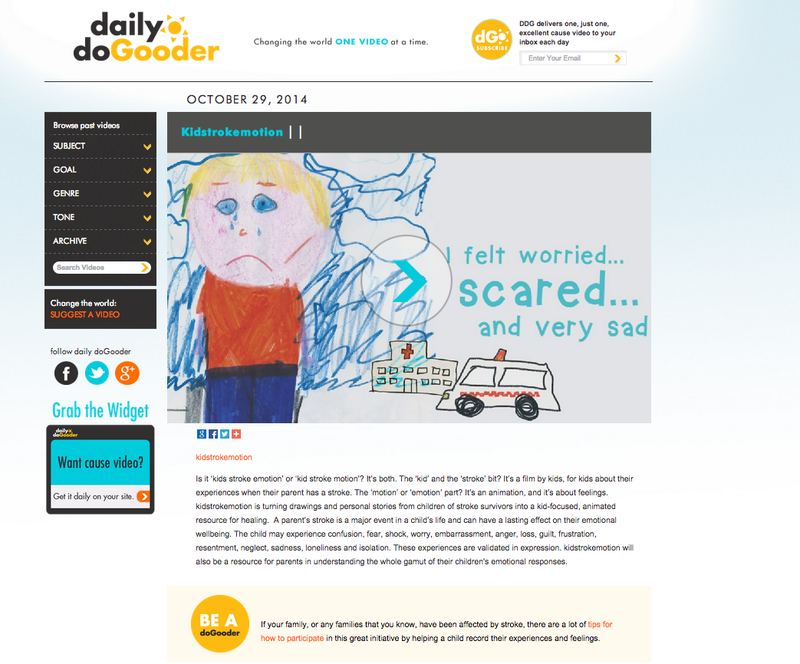 The Daily Dogooder does amazing work promoting inspiring videos everyday. We are chuffed to have been chosen! Check out kidstrokemotion on The Daily Dogooder! kidstrokemotion is about kids sharing their feelings with other kids, through the medium of animation. We’re beyond excited to be able to show you the first kidstrokemotion moving pictures. So grab your popcorn, gather your kids and settle in for the kidstrokemotion promo premier! kidstrokemotion wants to animate your story! from kidstrokemotion on Vimeo. We hope we’ve inspired your children to draw us a picture and record a conversation to share their feelings with other kids. Want to get involved in the kidstrokemotion project? Find out how. .
We’d really appreciate you sharing our video with your family, friends and collegues to help us connect with other kids who’d like to get involved. This video was created by Ingrid, the kidstrokemotion animator, featuring drawings and naration by Karen’s children, Oliver and Evelyn. Today is the US National Stroke Association’s Positive Thinking Day. Karen is sharing her positive thought. At the time of her stroke Karen was totally paralysed in one side of her body. The doctor told her she would never walk again. For a couple of years parenting was extremely challenging and Karen’s children often had a joyless mum. A persistent issue for Karen has been loss of touch sensation. Karen’s positive thought is that beyond the physical and cognitive recovery of a stroke survivor and the emotional recovery of the whole family, lies a playful, happy family life. This is what it looks like. It’s only 30 seconds long and we’d love you to have a look. Want to get involved in the kidstrokemotion project? Find out how. Video shared with permission of Florey Neurosciences Institutes. Thank you to Professor Leeanne Carey, Dr Claire Parsons, Matthew Canham, Astrid Sweres and Nathanael Bates. Be quiet and stay still! The single biggest impact of Karen’s stroke on her children is sensory overload. After an initial period of rehabilitation Karen has no visible deficits from her stroke. This makes it hard for her children and others to understand how difficult it is to care for her children, socialise and participate in activities others take for granted. Many of the places primary school aged children like to go, like adventure playgrounds; indoor swimming centres; fun parks; zoos and museums; ice and roller skating rinks; extra curricular activities and toy shops, all cause Karen to have a meltdown. Her children having friends over to play or having mum as a parent helper at school or scouts, are rare events. It just knocks Karen around too much. Ingrid also manages sensory overload as a result of her MS.
Our ‘My mummy has a stroke too’ blog about sensory overload, is our most shared blog, so we know this is an issue for many of you too. The kidstrokemotion team know just how you and your children feel. Sensory overload is most commonly associated with children with Autism Spectrum Disorders. This two minute animation gives a glimpse into sensory overload; only in real life it doesn’t last for two minutes! 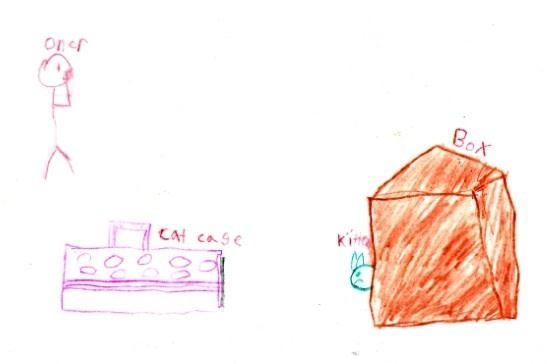 It is made from the perspective of a child, but for parents who have had a stroke and are experiencing sensory overload, it might be a useful resources to help your children to understand why you are constantly telling them to ‘Be quiet’ and ‘Stay still’! Would your children like to participate in kidstrokemotion and see their own drawings animated? Here’s how. What is Art Therapy and how can it help a child whose dad or mum has had a stroke? A boy known to the kidstrokemotion team has faced a number of emotionally complex things in his young life. He has benefited from Art Therapy. We have chosen not to name him for reasons which we hope are self evident. Art Therapy uses art within a therapeutic relationship to improve emotional well being. It helps develop self awareness and acceptance. In one of his first Art Therapy sessions he drew these pictures. ‘So the contents of the list are funny, silly, creative, happy, cheeky, hairy (because my hair is long), freaky, random and smiley. 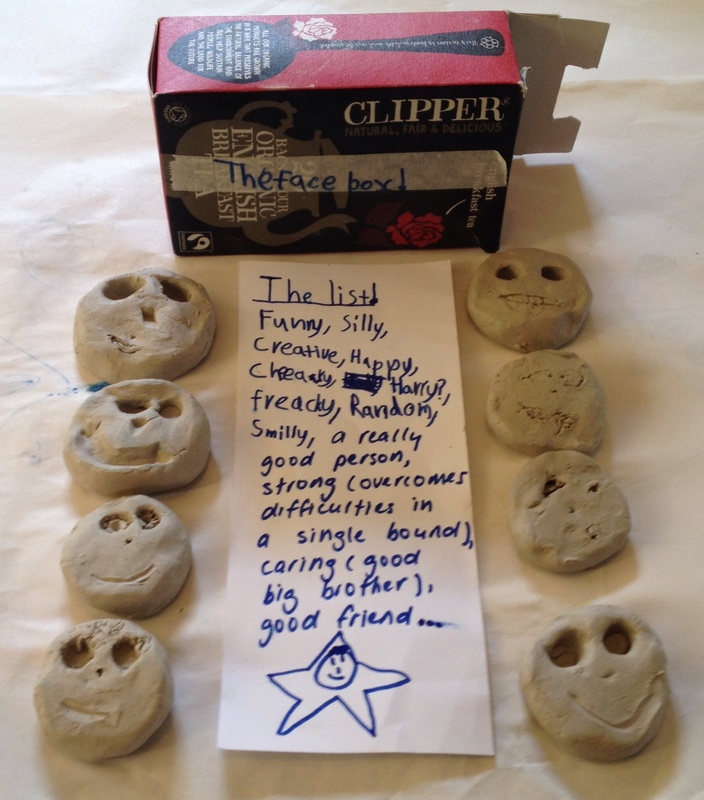 My Art Therapy teacher added, a really good person, strong (overcomes obstacles in a single bound), caring (a good big brother) and good friend. It is for each family affected by stroke to decide what strategies are right for them to assist and support their children. Art therapy is one option. Would your child like to participate in kidstrokemotion? Here’s how. I would tell other kids whose mom or dad had a stroke not to worry. That their mom or dad will get better. ‘Thank you with all my heart for your work in creating this project!! It was very empowering for Kami to be able to talk about the feelings she had when I stroked. And it made me feel good to know that she can see my progress and can see the good things that have come out of that difficult time. With the right treatment most people recover from depression. it is important to seek help. kidstrokemotion aims to help children understand they are not alone. Mackenzie Root, an 11 year old girl from the USA, shares her feelings about her dad’s traumatic brain injury and aphasia.